In my Taiwan and early Kentucky years, I was a budding birdwatcher. A decade ago, Joe and I really got interested in eastern bluebirds and even built a nesting box behind our town home. Alas, that was many years and several blogs ago. But I still love birds, and when I have an empty nest and attain senior citizenship, I plan to become a birder in earnest. 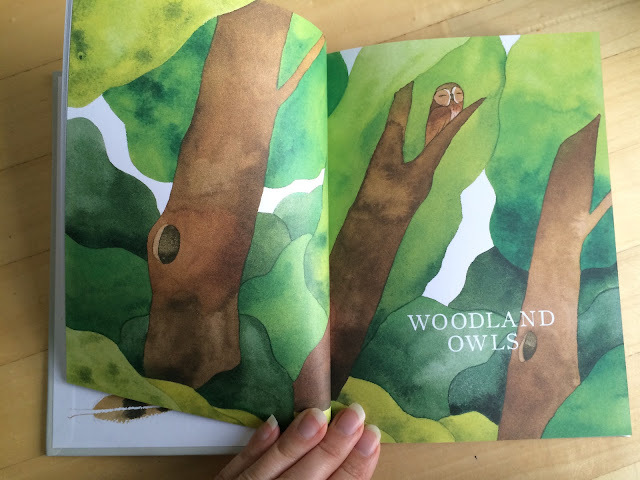 Until then, I've got my kitchen window and Matt Sewell's adorable book, Owls: Our Most Charming Bird. What does this have to do with prayer, you ask? Well, it doesn't really. But I personally feel very close to God when I'm out in nature or observing His creations. I often feel like He gifts me with a cute critter sighting when I'm feeling blue; it's an instant mood lifter. I had the same sensation as I let my mind walk through the lush paintings in Sewell's book. Don't you just want to get lost in that watercolor world above? 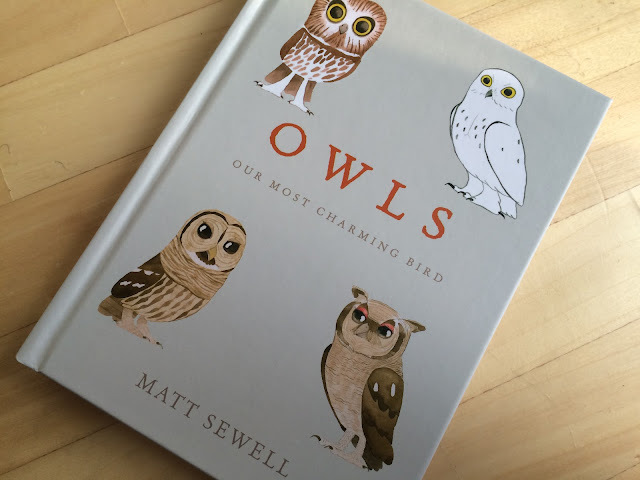 Owls is not primarily a field guide, though Sewell seems to have the ornithological chops to give accurate details on owls that he's obviously observed in nature. He delivers this information with a surprising mix of slang— "OMG SO CUUUUTE!!!" is actually the opening line of the Northern Saw-Whet Owl entry— and personal commentary. For example, he compares the striated feathers of the Spotted Eagle-Owl to Viennetta ice cream (remember those 90s commercials?) and the waxy beak feathers of the Norther White-Faced Owl to the facial hair of a "Mandarin kung-fu wizard." His style makes the book informational in the most memorable way. Along with the cheeky commentary, Sewell's paintings are also quite charming. They are detailed, yet not overwrought. 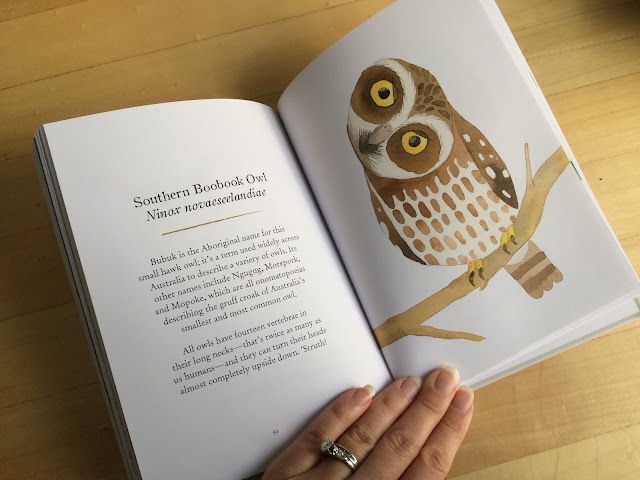 While the paintings are slightly stylized to augment the personalities Sewell perceives in each bird, they also seem include the level of precision needed to actually identify each species if you needed a field guide for a whirlwind owl-watching world tour. Though this is the first book of Sewell's I've come across, I thought he was so very good at what he does that he had to have other guides. He does. 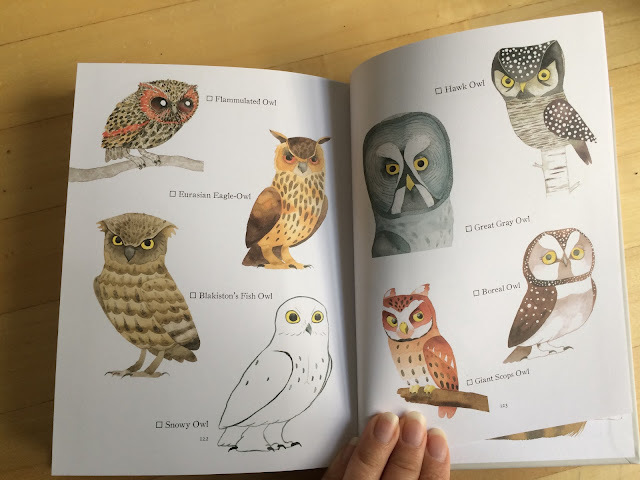 If you'd like to learn about the world's owls in a format that's two parts whimsy and one part useful taxonomy, this is your book.